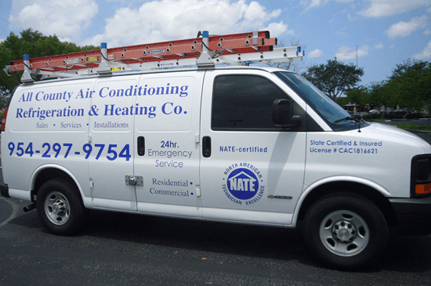 Looking for Air Conditioning Repair in Plantation FL? When has your air conditioning ever gone out when it was convenient? 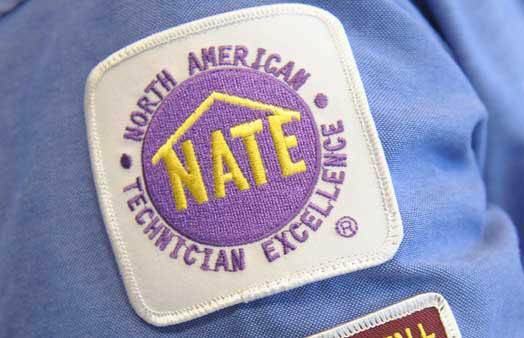 Naturally, when you need an AC repair in Plantation, you want it in a hurry. All County Air Conditioning Repair is the solution for quick service at affordable rates. Since All County is a family owned business, your needs are immediately met, with personal care. We diagnose any problems you have with your existing system, and if needed install new high efficiency system(s) in your home. We service and offer all brands of equipment that is best suited for your home and comfort as well as your wallet. Most of us have experienced our air conditioner not performing well, or not at all. This can only be blamed to not maintaining your unit with our 23 point air conditioning tune up. The mistake that most of us do in this fast paced life is that we spend a fortune in buying those high end appliances and assume that they are going to work forever. Sadly, this is not true. Though they last for about ten to fifteen years, their lifespan may shorten if they are not cleaned and maintained regularly. So, the best way out is to trust your air conditioning appliance with Plantation AC Repair services to reap maximum benefits from your air conditioners. 24/7 air conditioning repair, even if it’s 10pm at night, you can trust us with Plantation air conditioning repair service. All County’s staff is courteous, uniformed and will always respect you at your home. We promise that your system will be thoroughly checked to determine the problem. Often a simple solution like adding refrigerant to your system or changing a dirty air filter will have you up and running again. The good news is that we never charge extra, regardless of the time you call with any Plantation AC repair. Other times, more serious problems are discovered. The compressor may be overheating or the condensing unit may have stopped working. Regardless of the problem, All County AC Repair’s certified technicians will repair your air conditioner and get your cool air running as quickly as possible. There are many brands of air conditioners, but our technicians carry a truck full of parts for all major brands. Our expert technicians can repair any air conditioner (of any model, capacity etc). Servicing of any model of air conditioner irrespective from whom it was purchased. 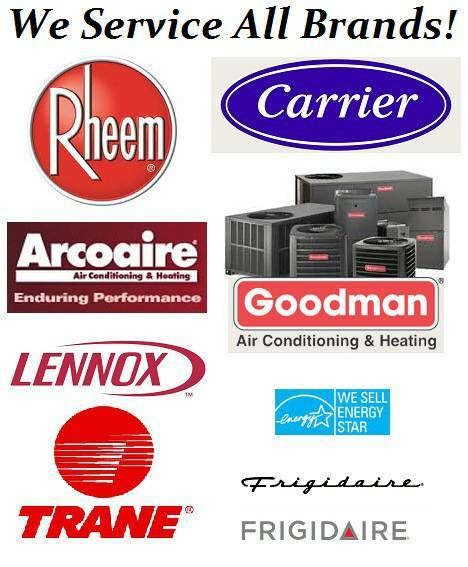 Apart from all the above factors, All County heating and AC Repair offers the best annual maintenance service in the market for all types of AC Repair systems ranging from HVAC to centralized systems. And the best part is once you have us either tune-up your AC Repair unit or make a repair, the regular servicing and maintenance will be scheduled automatically without you having to keep track of when the next servicing is due. Making the most of AC repair Plantation FL includes regular maintenance and service calls that usually will prevent emergency repairs. You may be overpaying your utility bill because of a Plantation air conditioner that is not running efficiently. Regular checks are important. If you think about how long the AC unit works when it is hot, it makes sense that you cannot just turn it on and forget about it for months on end. So, trust in Plantation ac repair and maintenance services to get the best out of your cooling system! All County Air Conditioning Repair Specializes in Plantation and the surrounding areas. Our Mission is to serve our customers in the best way possible with a wide variety of services. With the owner having over 35 years of experience in HVAC, you can be confident in your decision to have All County Air Conditioning Repair, Refrigeration & Heating Co. as your cooling and heating professionals. Contact Us Below for fast AC Repair. All County Air Conditioning Repair	Overall rating:	5	out of 5 based on 3	reviews.